Led by Eric Nelson and Michael McConnell, this seminar will explore the role played by the two 17th-century English Revolutions (of 1642-1660 and 1688-9) in the constitutional debates surrounding the American Revolution and the formation of the state and federal constitutions. Particular attention will be paid to the way in which English controversies about representation, the royal prerogative, and the history of parliament reemerged in the American context and shaped the development of the presidency. Participants will receive accommodation at the Munger Graduate Residence on the campus of Stanford Law School and a modest stipend for meals. Participants will also receive a travel reimbursement up to $250. Applications should be sent via email to MMarcus@nyhistory.org. Much of our constitutional law today arises not out of the Founding and not out of the Reconstruction Amendments, but out of the great controversies and social mobilizations of the twentieth century. 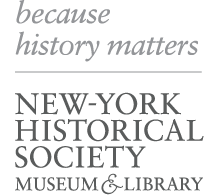 On four Fridays this fall at the New-York Historical Society, Jamal Greene and John Fabian Witt will lead seminar participants on a guided tour through new literature on the history of the twentieth-century constitution. Topics include the invention of free speech, the making of the modern administrative state, the rise and fall of labor’s constitution, transformations in rights talk, and the significance of constitutional methods such as “originalism.” The seminar closes with a consideration of the constitution’s future prospects. The Institute for Constitutional History (ICH) is the nation’s premier institute dedicated to ensuring that future generations of Americans understand the substance and historical development of the U.S. Constitution. Located at the New York Historical Society and the George Washington University Law School, the Institute is co-sponsored by the American Historical Association, the Organization of American Historians, and the American Political Science Association. The Association of American Law Schools is a cooperating entity. ICH prepares junior scholars and college instructors to convey to their readers and students the important role the Constitution has played in shaping American society. ICH also provides a national forum for the preparation and dissemination of humanistic, interdisciplinary scholarship on American constitutional history. Support for this seminar of the Graduate Institute for Constitutional History is provided in honor of Eric J. Wallach. The Graduate Institute for Constitutional History is supported, in part, by the Saunders Endowment for Constitutional History and a “We the People” challenge grant from the National Endowment for the Humanities.